Thailand has promoted the cultivation of Hemp for industrial use with five provinces selected as sites for the growing under a five-year pilot project. Hemp or what is called “Ganjong” looks very much like marijuana or “Ganja” as it technically is the same plant. In the United States, Hemp is just as “illegal” to grow as marijuana is. The demand for Hemp globally is high and at present, 27 countries have legalized l planting of the plant for industrial use. Thailand Tobacco Monopoly (TTM) has revealed that it will be moving ahead with its plans to promote the growing of Hemp after the cabinet has given approval of a 5-year pilot project to commercially grow Hemp in 5 provinces. They are Chiang Mai, Chaing Rai, Nan, Tak and Petchabun. 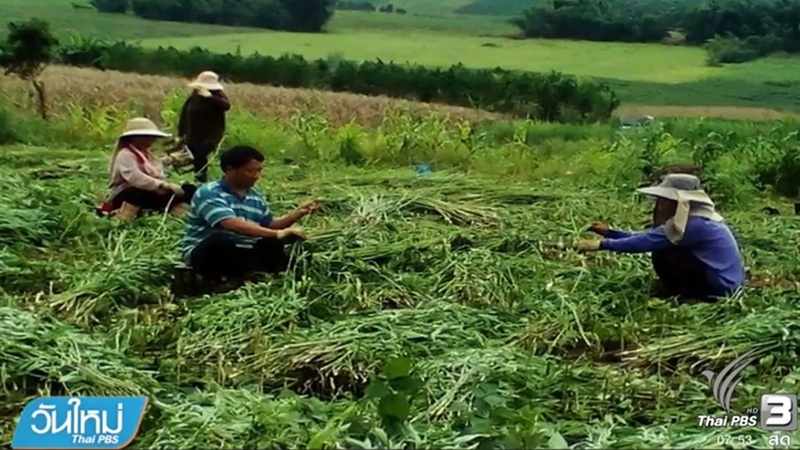 According to Mr Daonoi Sutthi-Niphaphan, the director of the TTM, the growing of Hemp, a cannabis plant, especially when grown for its fiber, will be carried out at its Mae Cho Tobacco Experimental Station. If proven successful, he said it will be introduced to farmers currently growing tobacco plants in the northern and north-eastern provinces. He said the regions are famed for the excellent soil which is ideally suited for agriculture. Hemp plants have been found to be very useful with a number of beneficial attributes. Fiber from the stem can be used to make rope, stout fabrics, fiberboard, and paper, while oils extracted from seeds contain found high proteins, amino acids and saturated fat such as Omega 3, 6 and 9. With this in mind TTM has plans to commercially develop the plant in the country this year. If everything goes as planned, it aims to provide Hemp seeds to farmers in the country beginning in 2018.